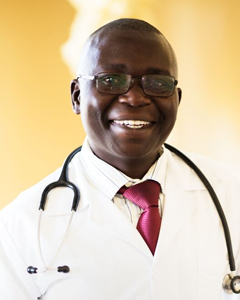 Our team of 90 full-time professionals and hundreds of Community Health Workers bring together decades of work experience in global health, research, and operations management. 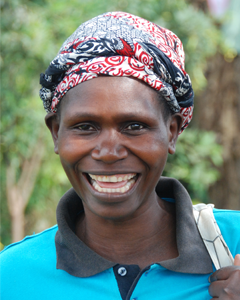 Leah is a former traditional birth attendant who became one of Lwala’s first Community Health Workers. “Being a traditional birth attendant, we didn’t have a lot of things to help mothers. We worked barehanded without protection. If there was difficulty, hospitals were not near for help so it often led to death,” she says. 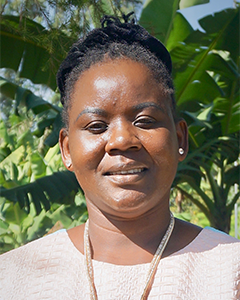 “Getting trained as a Community Health Worker affected my life greatly – we were told the dangers of giving birth outside of the facility, and it reduced the mortality of the women and the babies.” Today, Leah is a mentor for other Lwala Community Health Workers and a highly-respected role model in her community. 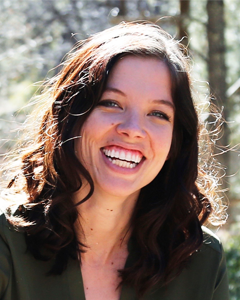 Winnie heads our education and economic programs and is a key thought leader in the organization. Winnie grew up in the village, just a few steps from where our hospital stands today. After she lost her father to complications from HIV and her mother’s health deteriorated, she struggled to stay in school but was driven to build a better future for herself and her community. Winnie’s first job was an internship with Lwala. 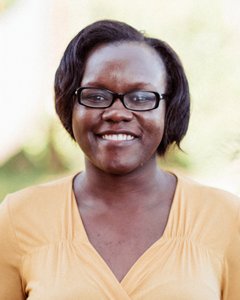 She has since risen through the organization, taking on increasingly more senior roles, and holds a Bachelor’s degree in Human Resource Management from Rongo University. “I have Lwala in my heart because of the impact it has had in my community, in my family, and to me,” she says. 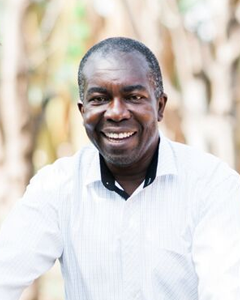 Steve oversees our Community Health Workers and coordinates our maternal and child health program. 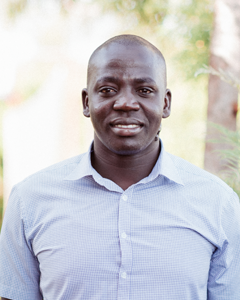 Steve grew up in the village where Lwala Community Hospital is located and joined our team as an intern during his final year of university because he wanted to bring change to his community. 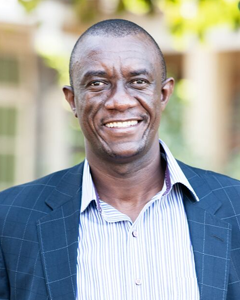 Steve has a BSc in Environmental Health and Public Health from Moi University and a Diploma in Project Management. 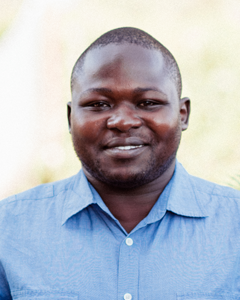 He is currently pursuing his Master in Public Health from Maseno University. 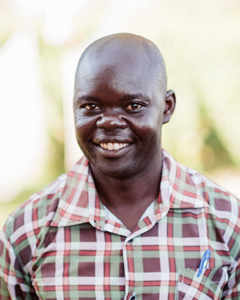 Steve is inspired to work with Lwala because he wants to make an impact on his own community, especially on the lives of the children that he works with. Rose Adem is Lwala’s Finance Director. 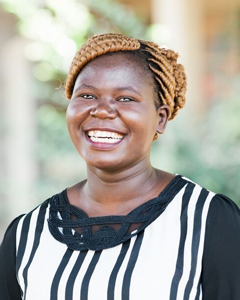 She leads the finance team in securing and stewarding grant funding, managing donations, and overseeing financial management of Lwala Community Hospital and the community-based programs. Rose grew up in a village similar to Lwala and is motivated to create opportunities and positive health outcomes for women and families just like her own. She says, “I grew up in the village so I identify with the challenges that happen in the village here, especially with pregnant women. 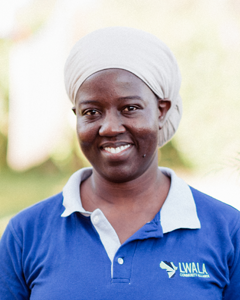 I am awed at how Lwala has changed the story for pregnant women and their children, it is a success story that I want to be part of.” Rose brings years of experience in finance and management. She studied accountancy at Kenya college of Accountancy, then received a BA in Finance and Accounting from Kenya Methodist University and a Masters at the University of Nairobi in Strategic Management. She has also held positions at AMREF, Farm Africa, and the Walter Reed Project in Finance and Administration. Rose is excited to push for increased sustainability and efficiency in Lwala’s financial systems. Thomas Glanfield (Global Chair), Joel Stanton, Susan Douglas, Chris Hobday, Elizabeth Carr, Fred Ochieng’, Milton Ochieng’, Bonnie Miller, Melizsa Mugyenyi, Jessie Adams, Richard Wamai, Gervasse Nykinye (Lwala Village Development Committee Chair), Shem Ooko, Charles Obong’o, David Odwar, Perpetua Okong’o, Charles Obunga, John Obunga, Rose Onyango, Samson Mbori, Robinson Mbori, Musa Odhiambo.